Save more ordering Mcdonald burger with Mcsavers. Only at Mcdonald !! Enjoy Mcchicken RM4, Cheese burger or 4 pieces of nuggets only RM3.00 and Apple pie for RM2.00 only. On February 8, McDonald Malaysia announced Mcsavers which consumer can purchase McChicken excluding drinks and fried for only RM4.00. It indeed budget friendly meal. Sundae ice-cream only cost Rm 3.00. They did not say the date the effect of Mcsavers promotion gone but they indicated to us every lunch and dinner We can enjoy Mcsavers promotion. Who benefit the most in this promotion? It seem like those like to order burger only and dislike drink and fries benefit the most in this promotion as well as those like to order additional fries, sundae or drinks. Basically, it benefit most of the consumer. Even with Mcsavers, McDeluxe and other burgers lovers do not enjoy reduction of price. 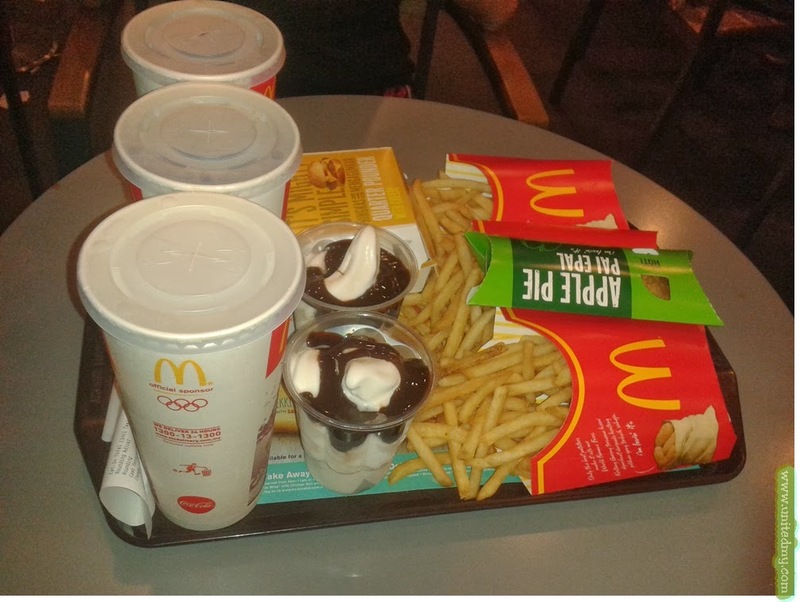 I have eaten because could not resist the promotional campaign Mcsavers 2014 Mcdonald Malaysia. I ordered 2 Sundae and one apple pie the price is according to discounted due to promotion !